Alphabet Photography Project: R is for Real | Phil – Refuelled! 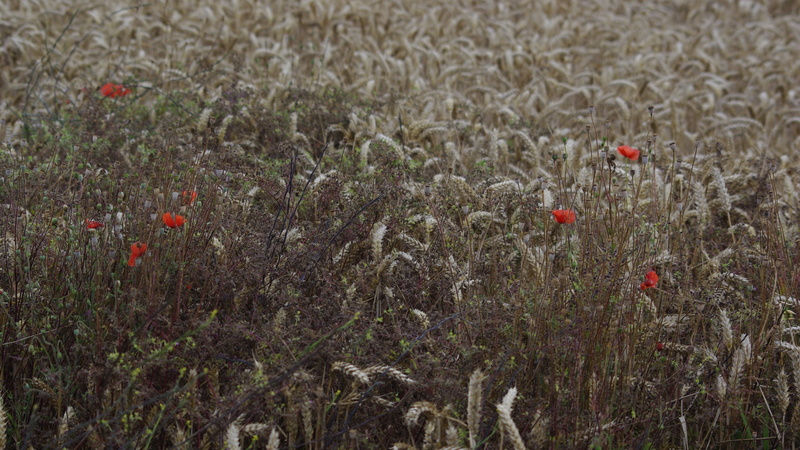 Although this picture was taken in August, not November, I felt reminded of the symbolism of poppies as a flower of remembrance of the fallen in war. Now, I don’t object to the use of paper or plastic flowers as a badge, or for similar purposes, but somehow, real flowers for a display (or in a picture for contemplation) just seem right, somehow. The loss of life was real. The emotions were (and are) real. Our respect for the fallen should be real. This unpretentious scene said it all, for me.